Yellow Curl and Mold Activator shapes and defines wavy and curly hair providing a soft, natural look without feeling heavy or stiff. Antifrizz. Especially recommended for color-treated and/or overly processed hair. Contains UV filters. 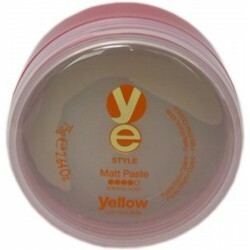 Style Matt Paste –Strong Hold Separates and defines. Molds and tousles. Strong hold at the roots, mat effect along the hair shaft and to the ends. Contains UV filters. 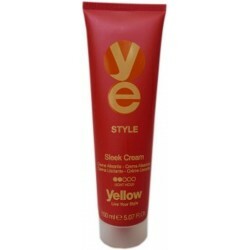 Style Sleek Cream- Light Hold This thermal-protective cream is ideal for creating a straight style. Rich in Chitosan and Panthenol, its formula conditions the hair, makes brushing easier and guarantees a long-lasting anti-frizz effect.